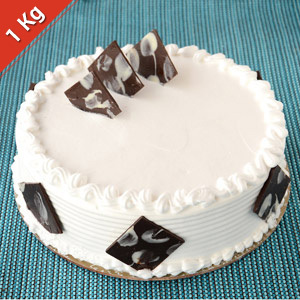 If your dear ones in all cities in India are fond of Vanilla flavored cake then you can send this 1 kg tasty cake from GiftsAcrossIndia.com. 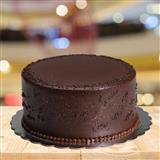 This cake is finest in taste and quality as it is from Taj bakery. 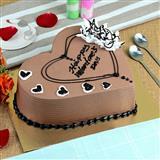 This cake is topped with chocolate pieces and white cream around the edges. This makes the cake look more delectable. 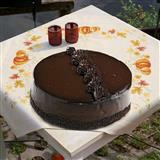 Your dear one will enjoy having this tasty cake on any grand occasion. 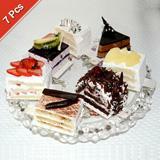 You can send these mouth-watering Taj vanilla cake and bring a sweet smile on his/her face. 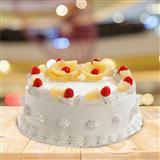 Along with this vanilla cake you can also couple other Gifts across India. Please Note : Picture is indicative. Actual might vary.